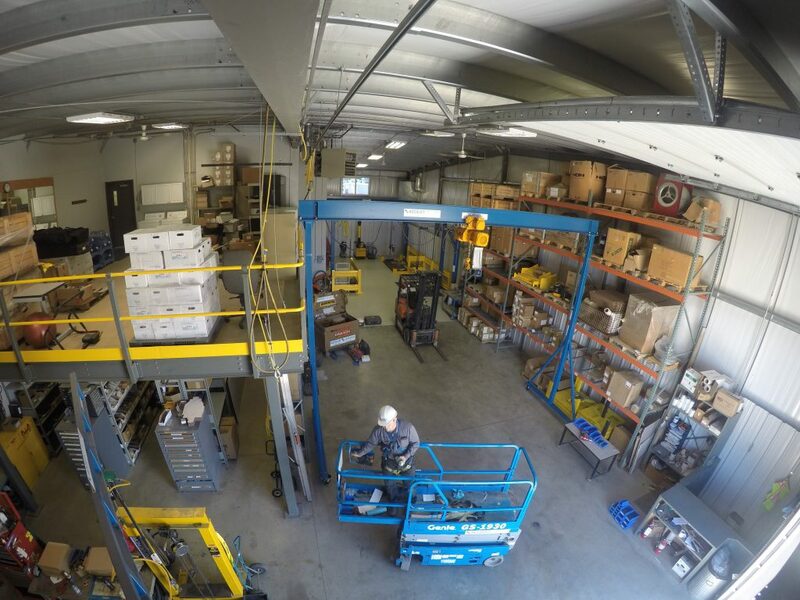 As a provider and leader in the workstation and overhead crane industry, Acculift provides a wide variety of overhead lifting solutions. Our workstation systems include free-standing work station bridge cranes, jib cranes, gantry cranes, and articulating jib cranes. Bridge workstation cranes provide the most crane coverage and are the go-to crane of many production lines in manufacturing facilities. These types of cranes don’t rely on the buildings structure for support and are very versatile in the types of loads they can move and the direction of the move. Below are the main components of an overhead crane and here are the smaller components which make up the moving components of this type of crane. Jib cranes are extremely useful in work cell/station applications. There are many types of jib cranes that solve all types of lifting and positioning problems. Jib cranes have various weight capacities, differing crane reaches, and have various ways of support (wall mounted, free standing, column mounted, etc.). As well, different end effectors give jib cranes massive flexibility to be the perfect fit for any work cell lifting need. Articulating jib cranes give an additional range of motion to the lift and provide the versatility in handling your lift may require. Gantry Cranes provide a mobile solution to lifting. 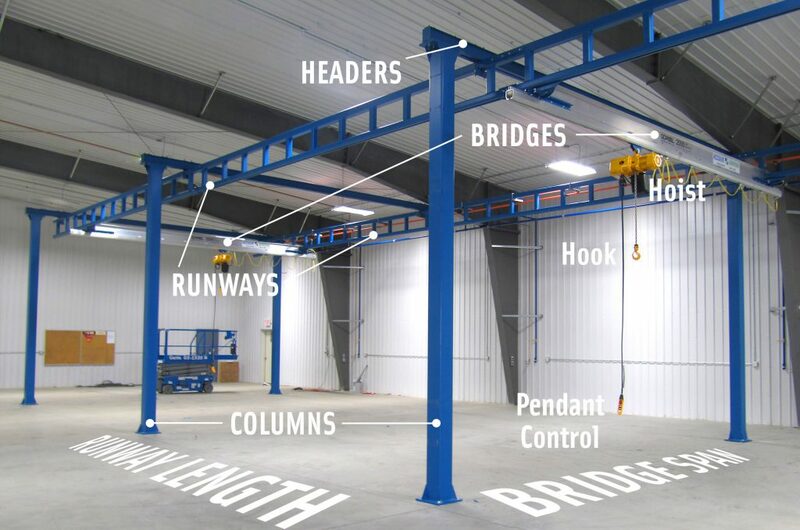 When a simple lift is needed (vertical only) but is required throughout the facility, an industrial capacity gantry crane may be your best solution. All of our workstation cranes can be easily upgraded to use computer driven Intelligent Lift Devices. Want to see a workstation crane in action? We can show you!